Question: Who loves a well-groomed man with a smooth and perfectly shaved face? Answer: We do! That's why we think that the Cornerstone personalised gift set is the perfect gift for those who like to step up their shaving game. The £30 Shaving Gift Set includes a face scrub, a shave gel, a personalised razor with engraved initials (an added bonus) and a post-shave balm. Before shaving, the Face Scrub gently exfoliates the skin removing dirt and impurities which helps for a smoother shaving. Enriched with eucalyptus oil and ginger extracts the Sensitive Shave Gel is formulated to protect sensitive skin from irritation and shaving cuts. Eucalyptus works as a highly protecting ingredient with its antiseptic and anti-inflammatory properties. The gel enables a smooth and comfortable shaving experience. The Aluminium Razor is made with five high-quality fine blades. Each blade is made from Japanese chromium steel and designed to reduce the risk of burns and clogging. The razor has an Aloe Vera strip that helps the blades glide smoothly. Finish the shaving in apotheosis with the Sensitive Cooling Post-Shave Balm. Infused with mint and honey, this refreshing balm instantly replenishes, hydrates and cools the skin. This set also comes with a £10 gift card - bonus! Purchase the Cornerstone gift set here for £30. They also have a Cornerstone subscription club - see website for details. Christmas means gifts, wine and good food. It’s the time of the year when we do our best to be an aspiring 'Nigella' cooking gourmet meals for our loved ones, made with delicious, rich and luxurious ingredients. When January comes its time for a slowdown generally with a detox and rather boring food. However, this year why not make the whole year feel like Christmas with the L’Atelier Des Chefs Cooking Classes. L’Atelier Des Chefs is one of UK’s best cookery schools it offers classes from a quick 30 minutes to an intense 4 hours tuition for anyone wanting to learn more about creating great food. The school provides a great and diverse range of class themes including French, Thai and Asian cuisine. They offer a diverse selection of Seasonal and Healthy Eating, Pastry and Sweet Things, Greek, Moroccan, Burger Making, Street Food and of course British food. 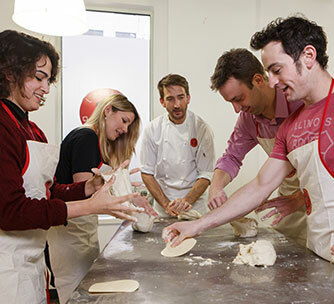 The classes are run by professional chefs that are passionate about sharing their expert tips. These classes are the opportunity to expand your recipe repertoire and learn new techniques in a fun environment. These culinary courses are the ideal gift offering the opportunity for your man to don his chefs hat and become the latest cooking maestro! 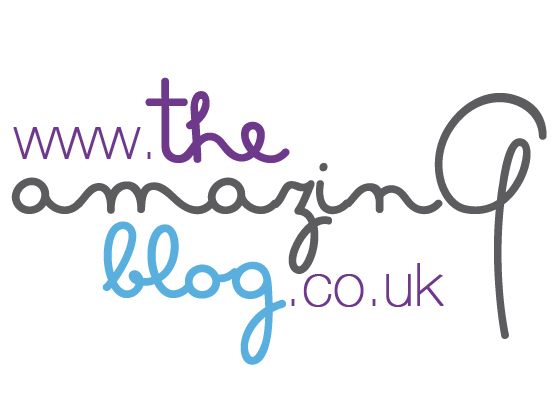 For a 90 minutes cooking classes, a gift card is available here for £58. This year we have found the perfect gift for gin lovers. It is the Gin Tasting Experience for Two, at Brennen & Brown distillery. This unique olfactory experience will take you through a voyage of sensorial discovery guaranteed to tantalise the taste buds. There will be demonstrations of their innovative distilling techniques where you will also glean more about the history of Gin. During the tasting class, you will not only drink and taste fabulous gins but also learn more about the different botanicals which create the individual gin flavours. It is a an experience for two, which always makes it more fun to share. The experiences starts at 5.30pm and run on a Thursday and Friday with occasional Saturday. You can buy a Gin Tasting Gift Card here for £35. Interflora’s Gentleman's Indulgent Mini Hamper is a real treat for anyone with a sweet tooth. This luxurious gourmet hamper has everything your man could need for a quick snack. 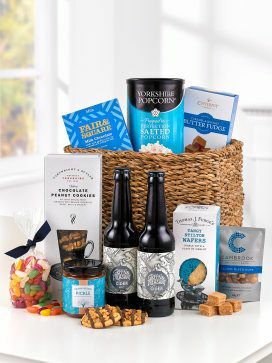 The basket includes Cartwright & Butler Chocolate Peanut Cookies, Bespoke Pickle by Blue Writing, and Thomas J.Fudge's Tangy Stilton Wafers. In fact, there are a plethora of treats including Cambrook Brilliantly Baked Salted Mixed Nuts, Copperpot Caramel & Sea Salt Butter Fudge, Yorkshire Popcorn Salted, Fair & Square Milk Chocolate, Haribo Jelly Beans with Blue Ribbon and Green & Pleasant Natural Cider. All very tempting, not only that but Interflora also includes two bottles of refreshing artisan cider to boot! Perfect for your chap, we're sure he'll bless you as he sits back, relaxes and enjoys these in front of the TV. You can purchase the hamper here for £35. Wallets are a Christmas gifts classic, and so last but not least, we thought we'd include our favourite one. We love this beautiful Gentlemen’s Hardware Bi-Fold Leather Wallet. Made with hard-wearing tan leather this stylish and sophisticated wallet is a must-have man accessory. Designed with multiple compartments and card slots this wallet enables the owner to have a well-organised wallet that is fast and easy to use. It has an advanced RFID lining that blocks any unwanted contactless payments. The wallet comes in an elegant, smart branded tin box. 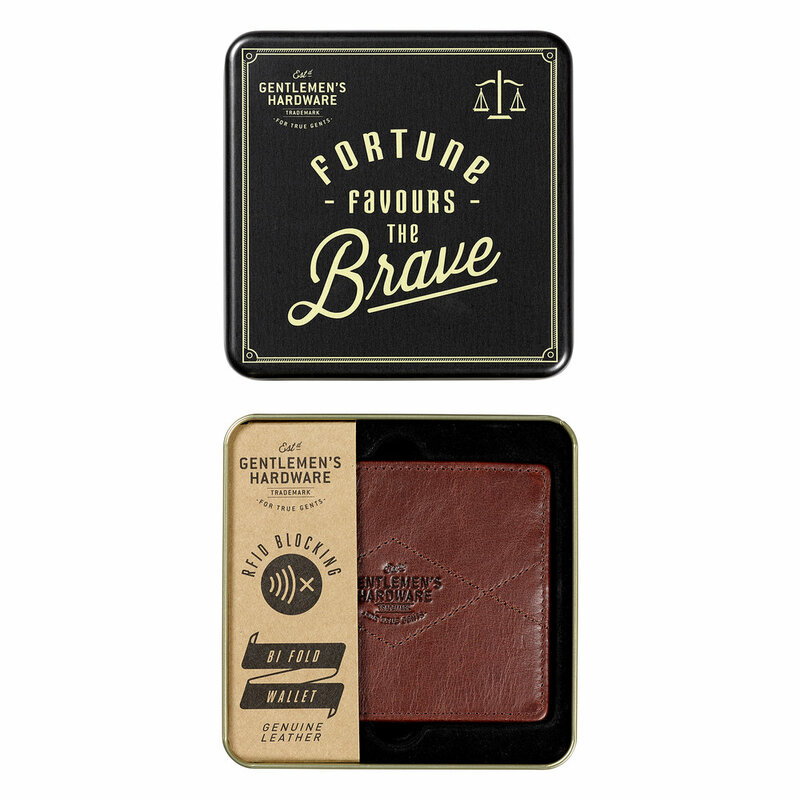 Apart from its great quality what we particularly like is the embossed words on the inside seam: “Fortune Favours the Brave”. What a great motto for that special man in your life. The wallet can be purchased here for £40.